Schalke's rising star Weston McKennie has extended his contract with the Royal Blues until June 2022, the club announced on Wednesday. The 19-year-old American midfielder was only promoted to the Schalke first team squad back in May, but has made such an impression on new coach Domenico Tedesco and his staff that they have moved to secure his services for the next five seasons. 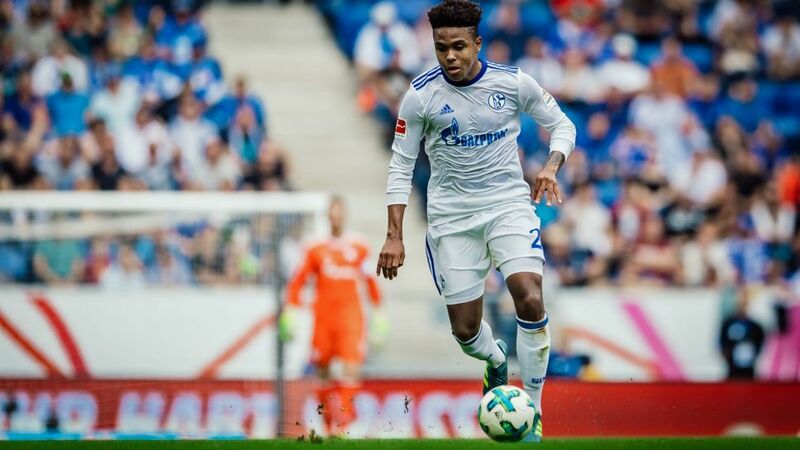 "It was an easy decision for me to make," McKennie told the club's website, after extending a deal that was due to expire at the end of 2019/20. "I love the club and everything here: my teammates, the head coach and the fans. I'd love to stay here forever." Born in Texas, McKennie spent three years of his childhood in Kaiserslautern before returning to Germany in 2016 to take up a place at Schalke's world-renowned Knappenschmiede academy. He made his Bundesliga debut in a 1-1 draw against Ingolstadt on the final day of 2016/17, before making his first start in a true baptism of fire against champions Bayern Munich. "Weston will develop into a key member of our first team," said sporting director Christian Heidel. "He has shown in the past few months that he is more than capable of contributing significantly to the future of Schalke." "Thanks to his talent and his willingness to learn, Weston has made the rise from the U19s to the Bundesliga, and it's been a success from the get-go," he continued. "We're very happy that Weston sees his long-term future at Schalke." McKennie may have a chance to celebrate his new contract as Schalke entertain Bayer Leverkusen in the Bundesliga on Friday night, while the US youth international - who has been friends with Borussia Dortmund's Christian Pulisic since his early teenage years - will be hoping to make his first appearance for the senior USMNT squad in the coming months.